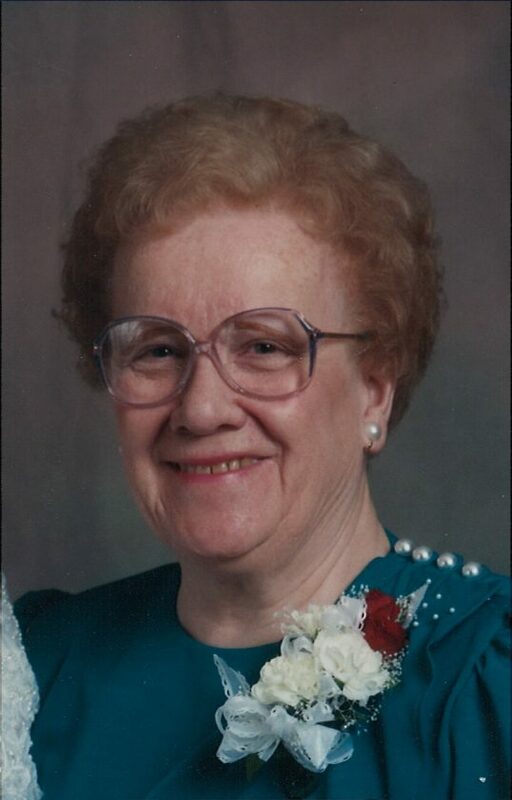 ESCANABA — Helen Elizabeth “Betty” McDermott, 92, died after a brief illness on Tuesday, April 9, 2019, at the Bishop Noa Home in Escanaba with her daughter and granddaughter Erin by her side. She enjoyed the loving and caring community of the Bishop Noa Home for just over six years. She was born on Feb. 3, 1927, in Iron Mountain, Mich., daughter of Maurice and Anna (Kane) Flynn, moving with her family to Harris soon after. Betty was a 1944 graduate of Harris High School and shortly after graduating, she moved to Escanaba to work as a secretary at Hansen & Jensen/Theisen-Clemens Oil Company. She married John McDermott on Dec. 28, 1963, at St. Patrick’s Church in Escanaba. After the birth of their children she worked as a homemaker. After the sudden passing of her husband John in 1977, she courageously raised her two children alone and instilled in them the value of faith, hard work, and family. Her children and grandchildren were everything to her. She was a longtime member of St Patrick’s Church, and later St Thomas and St. Anne’s Churches. In her younger years, Betty enjoyed golfing and bowling. She enjoyed crossword puzzles and watching sporting events, most notably her beloved Green Bay Packers. She is survived by her children, Mary (Karl) Linderoth of Escanaba and John (Janet) McDermott of Columbus, Ohio; grandchildren, Kellie and Erin Linderoth of Escanaba and Connor and Cole McDermott of Columbus, Ohio; nieces, nephews and cousins. In addition to her parents and husband, John, she was preceded in death by her siblings, Maurice in 1987 and Grace in 2009. Visitation will be on Saturday, April 13, from 9 to 10:30 a.m. at the Crawford Funeral Home, 302 S. 13th St., Escanaba. The Mass of Christian Burial will follow at 11 a.m. at St. Anne’s Church with Rev. Francis DeGroot officiating. A meal will follow in the church hall. In lieu of flowers the family requests that memorial contributions be made to the Bishop Noa Home in Betty’s name.